It’s amazing how a diagnosis can change your life. 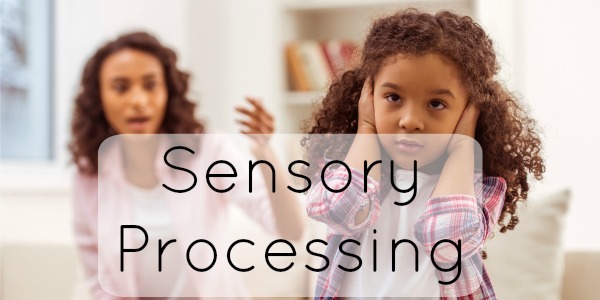 When an Occupational Therapist told me that my son has Sensory Processing Disorder, I didn’t even know what we’d be dealing with. 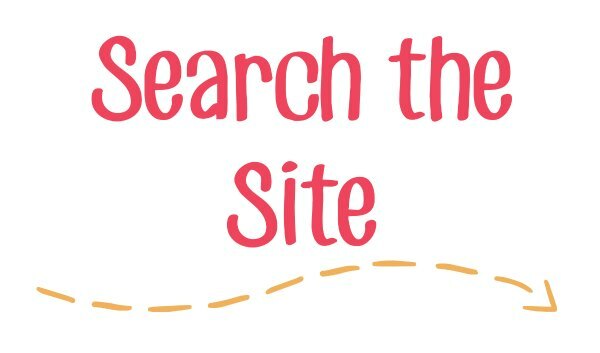 I’m always looking for ways to fill my house with toys and tools that will provide that input for my son. 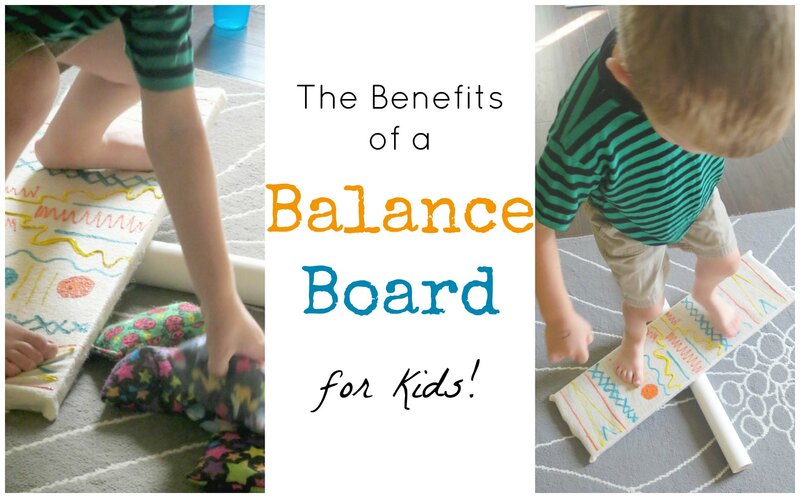 I’m beyond excited to share our newest addition… THE BALANCE BOARD! I’d heard of balance boards (also called wobble boards) before, but they always seemed out of our price range. 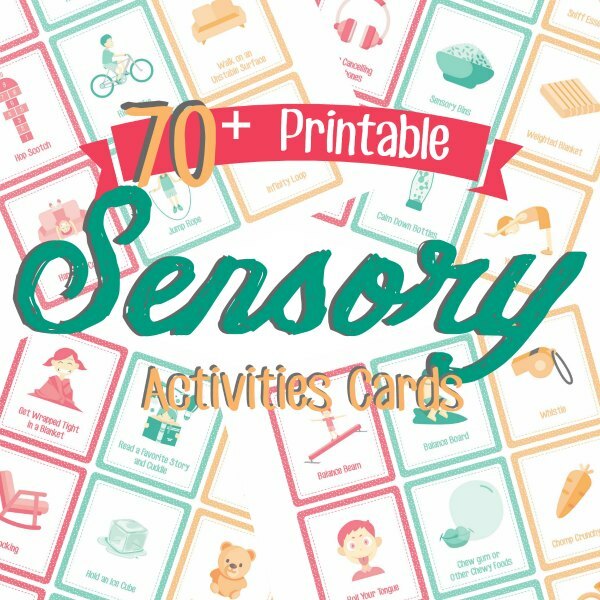 Then I read the book Sensory Processing 101 (scroll to the bottom for a chance to win this incredible resource!) 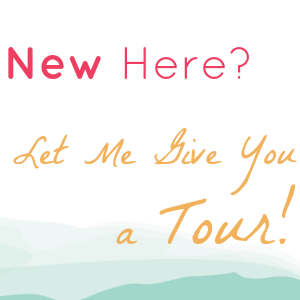 and realized I could make one of these myself for pennies in minutes! But do Balance Boards work??? They do! It all comes back to the vestibular system. Never heard of it? Yeah, I hadn’t before the diagnosis either. 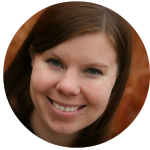 The Vestibular System relates to the inner ear, and how the body analyses balance and movement. Some kids are extremely sensitive to Vestibular input (like my son) and are fearful of certain movement. 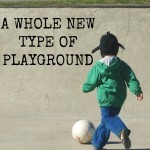 Other kids crave it and do all sorts of acrobatics to get the input they desire. 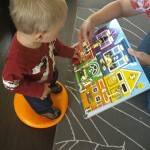 Balance Boards help kids to get positive Vestibular input while feeling secure in their immediate environment. So How do you use a Balance Board? A balance board is a relatively safe way to help a child get used to Vestibular input. All that your child really needs to do is to stand on it. Then, they will shift their body weight and respond appropriately to the changing stimuli. At first, my son just enjoyed tilting the board from left to right. Eventually, he attempted to keep his body centered and the board only balanced on the rolling pipe. I couldn’t believe the bravery I saw in him! It seemed that knowing the board could only fall a couple inches helped him challenge himself further. 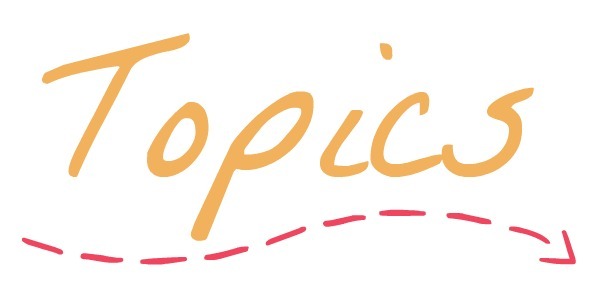 If your child is nervous at first, you can try distracting them with a favorite toy or some jumpy music. Also, you can try handing them things from different sides of the board so that they have to shift their weight. When they get better, see how long they can balance with both sides of the board in the air. I should warn you now though: After you get your kids to try it, they are definitely going to want to see you try it. Don’t be afraid to be a little silly about it. Your kids will love that you did. 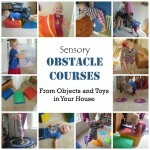 Want to fill your home with toys that are a benefit to their sensory systems? 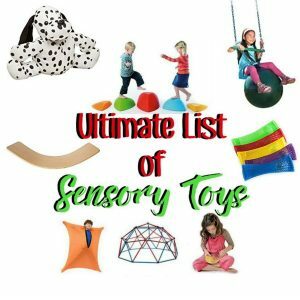 Check out these incredible sensory toys! 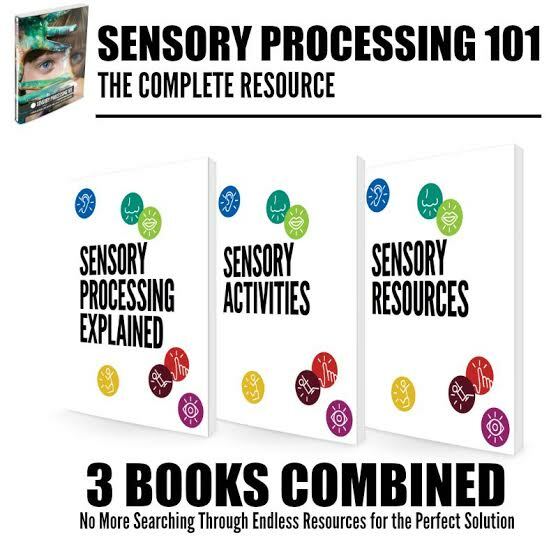 I’m so thankful that I have the book Sensory Processing 101 in my home library. 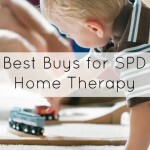 I’ve read so many books on SPD, but this one is really a “one stop shop”. 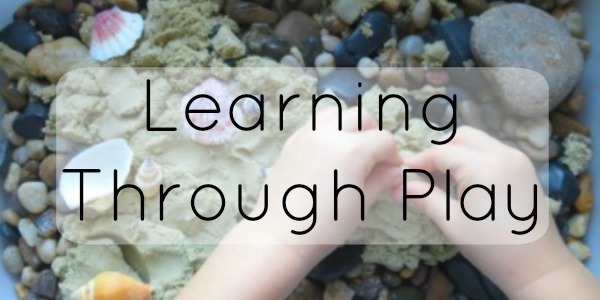 It starts off explaining the brain’s sensory needs. 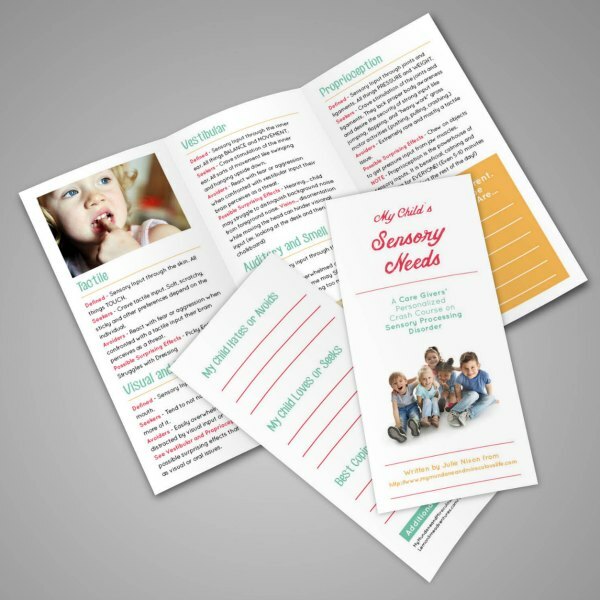 The book is written by a team of parents AND occupational therapists so it’s an easy yet accurate read! 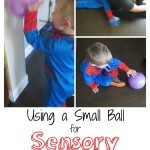 Then come the abundance of sensory activities sorted by which sense they benefit. I thought I’d see it all, but I was wrong! So many incredible ideas! 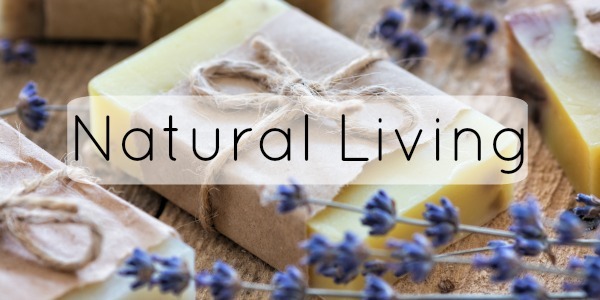 Then the resources at the end are perfect tools for having around the house! 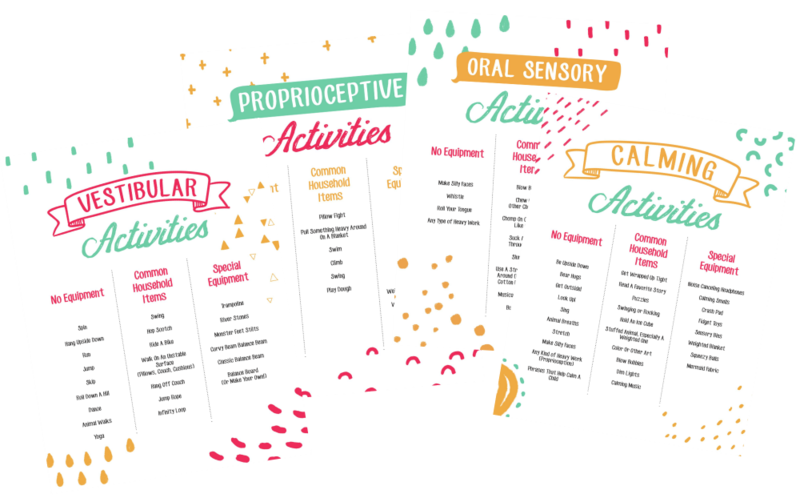 Even if you or your child doesn’t have SPD, it’s vital for EVERYONE to understand their sensory needs, regardless of whether they fall within normal range. 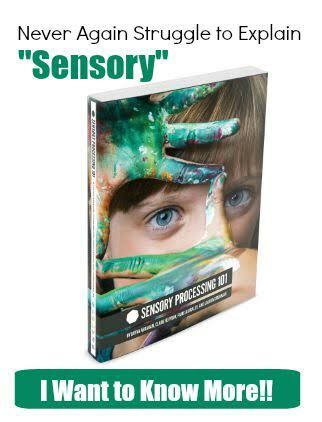 October is sensory Processing Awareness month so to honor that, the authors are offering a buy one, get one free sale through the end of October. 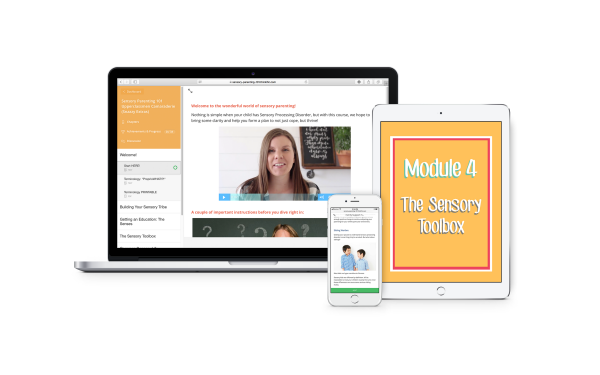 Purchase one eBook and you’ll receive a second eBook FREE to spread the word on Sensory Processing! And then of course, there’s a chance to WIN a free PRINT copy of the book, just by entering the contest below! Best of luck! I would love to win this for my Family Childcare. 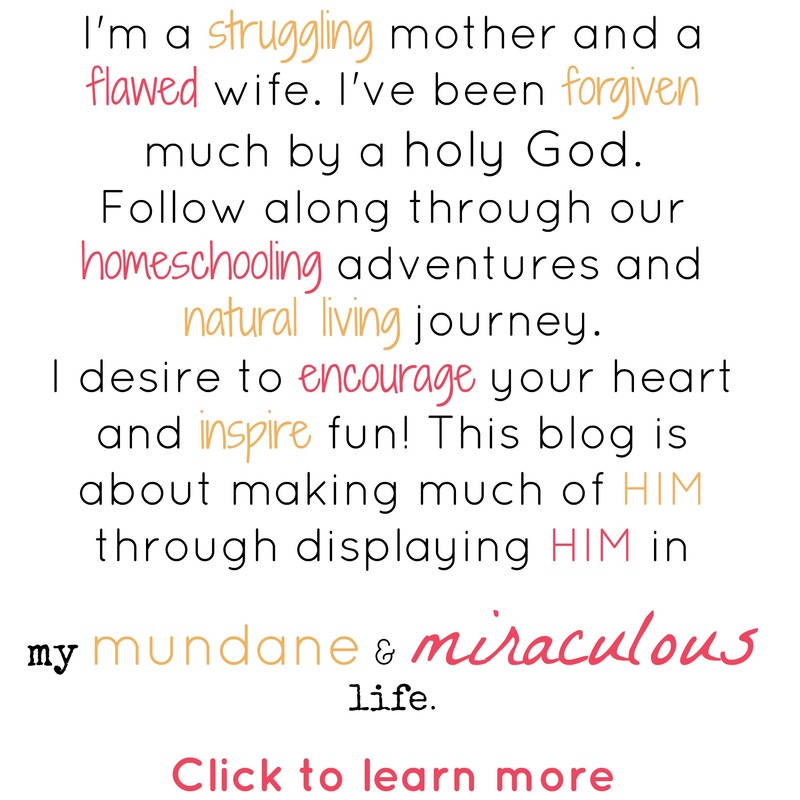 I would love to win one for my children! I will love win , because all I want its help my sweet boy? 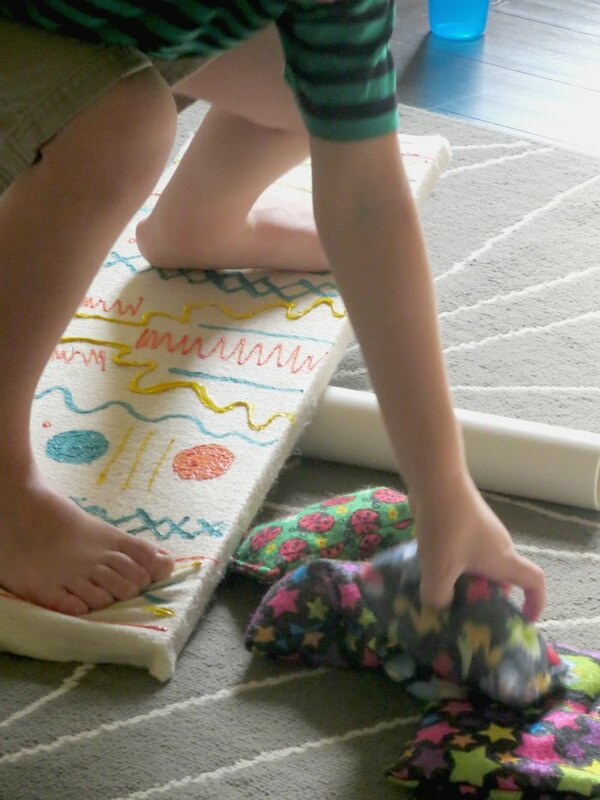 Great article and we liked reading how your son started using the balance board and how he progressed with it. Thanks for the article.